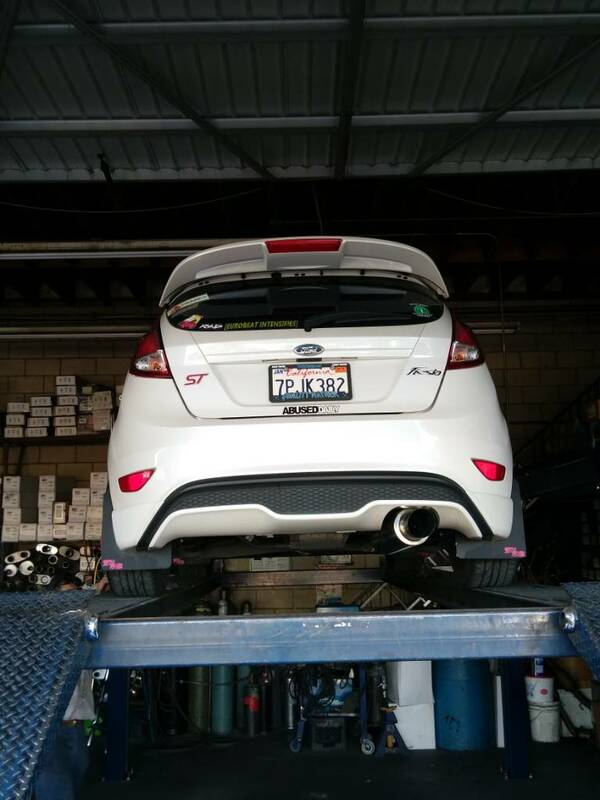 I'm looking for some mudflaps, but I'm looking for some options outside of rally-armor? I'd prefer some without branding all over them, but I realize they probably don't exist. Thanks in advance. I am currently rocking some black RokBloks mudflaps. Ive had them for about 3 years and they're still holding up. Oh yeah, i bought these USED! I routinely run my car up to 85+mph and they havent gotten loose or deformed from use. No cracks. These are some sort of plastic and not urathane like the high-end Rally Armors. A quality product for sure. Oh, I do like those. They're quite a bit cheaper than the RA flaps, and the decals are optional, too. This is exactly what I was looking for, thank you! Which color mudflap to purchase for Ox white FiST?